Memorial Day is typically the unofficial start of summer. Full of family gathering, perhaps boating and overall partying, the holiday weekend is a great way to shed the winter blues and welcome the unofficial start of summer in Maricopa County. With all the excitement of a three day weekend, in a flash, you can find yourself behind bars for driving under the influence as DUI task forces will be out and in full swing. Whether you are behind the wheel of an automobile or operating a watercraft while intoxicated, the penalties for a DUI in Arizona are the harshest in that nation and they are enforced. From mandatory jail time for a first time DUI to fines, license suspension, and the ignition interlock device, a DUI has long-term consequences. In addition to the penalties for being convicted of a DUI, depending on your job you could face job loss, and then there’s the personal level of consequences such as losing respect from family and friends. In short, one bad choice can affect your life forever. An easy solution to avoiding a DUI in Maricopa County is utilizing a ride share program such as Uber or Lyft. Of course, you can also hail a taxi, designate a driver or celebrate the holiday at home. The outcome of your holiday weekend is in your hands and the Police will be in full force deciding your fate should you choose to drink and drive. In addition to sobriety checkpoints, the police look for approximately 20 different signs of impaired driving in addition to many other civil driving infractions when patrolling for drunk drivers. From someone turning out of the parking lot without signaling, to a cracked windshield, or a burnt out license plate light, the police need to see a traffic violation before they can pull you over and they will pull you over. Below is a list of factors, in order of probability, that police use to determine if a person is driving while impaired at night. The list is based on research conducted by the National Highway Traffic Safety Administration (NHTSA). What should I do if I get pulled over for a DUI in Maricopa County? If you are pulled over for a DUI, the first thing you should know is that you have a right to remain silent and yes anything you say may be held against you in court. Invoke your Fifth Amendment right to remain silent. Remember that anything you say may be held against you and incriminating evidence can be used against you should your case go to trial. Can I refuse the preliminary breath test? If you are pulled over for suspicion of a DUI in Maricopa County over Memorial Day, the police will ask you to blow into a Preliminary Breath Test (PBT). The PBT is used to determine if the police have probable cause to arrest you for a DUI and it is not admissible in court. Although popular belief is that your license will be suspended if you refuse the PBT, this is not the case. 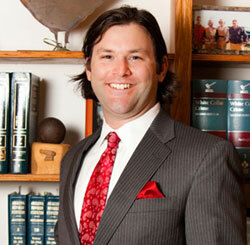 There are many DUI Defenses that can be taken to achieve the best possible outcome. From analyzing the evidence during the initial stop to the moment you arrive in jail, making sure that every aspect of your constitutional rights are followed is key to help defend you against the charges. Of course there are other factors to consider such as any medical conditions for example diabetes or neurological problems that can cause slurred speech. In addition to the DUI defenses listed below you can also check out the "7 common DUI defenses" on AVVO. Although it’s a holiday weekend for most the Law Office of Aaron Black will be available should you find yourself in need of an experienced DUI Defense Attorney. My primary focus is to obtain favorable results for my clients. In fact, many of my clients' cases result in dismissals, not guilty verdicts, no jail time, or substantially reduced charges. Representing clients in all Arizona City, State, and Federal Courts and I personally defend every one of my clients by taking on a limited number of clients at a time. If you are stopped for DUI over Memorial Day weekend contact Maricopa County DUI Defense Attorney Aaron Back for a free case evaluation at (480)729-1683.